From stadium staples like nachos, french fries, and chicken fingers, to LA favorites like the Dodger Dog and garlic fries, Dodger Stadium always brings the best. As you head out to watch the Boys in Blue this year, we’ve flagged a few must-try items for you to nosh on while you cheer throughout the game. 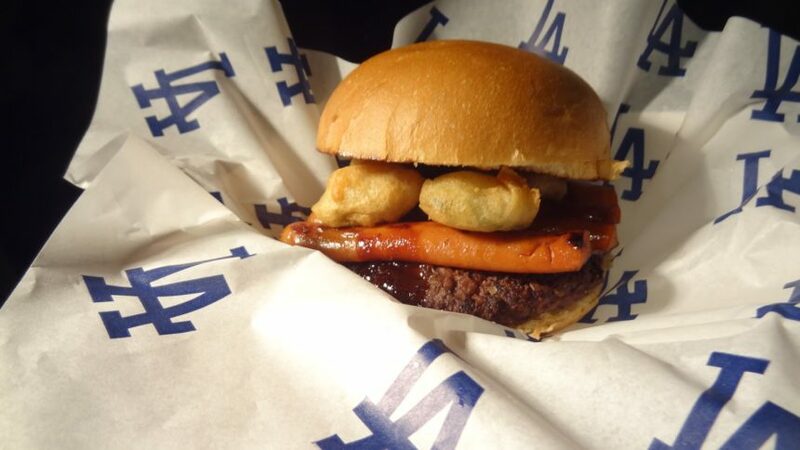 Not only can you find the classic Dodger Dog within the stadium walls, you can also find it delicately placed inside the Dodger Burger, along with jalapeño poppers, to elevate the experience to another level. Order it at Reserve Level. 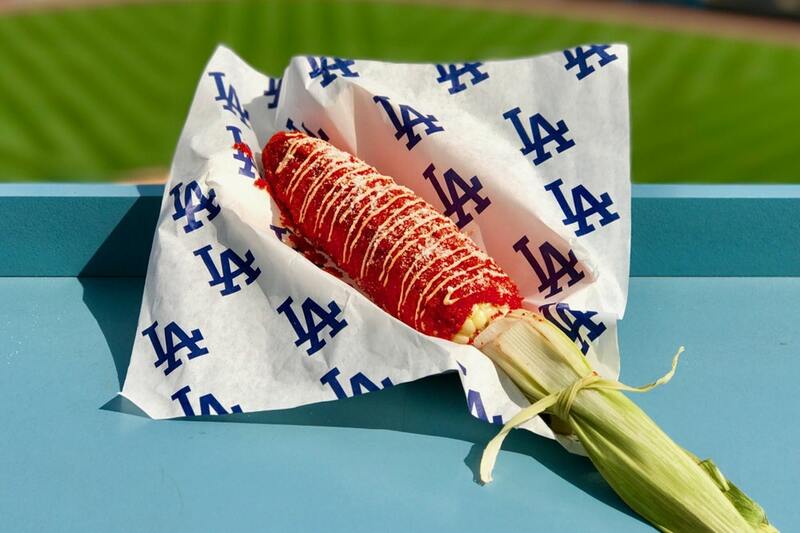 Speaking of another level, fans of Flamin’ Hot Cheetos must try the Cheeto-lote, an elote encrusted with Flamin’ Hot Cheetos found at Elysian Park Grills. The every-game options will be accompanied this season by some exciting guests. Executive Chef Ryan Evans revealed on Twitter that they’re inviting LA favorite Howlin’ Rays in this season, so stay alert for details on that exciting addition. To finish up with a sweet treat to top off a Dodger win, make sure to grab a funnel cake or churro from Trolley Dodger Treats before heading out. Happy baseball season!